Daniel Pollack’s concert career has taken him worldwide across five continents – North America, Europe, Asia, South America and Africa. Highlight appearances as soloist with major orchestras in the U.S. include the New York Philharmonic, Los Angeles Philharmonic, Baltimore Symphony, Minnesota Orchestra, San Francisco Symphony; and worldwide, Moscow State Philharmonic, St. Petersburg, Russia, London’s Royal Philharmonic, Bergen Symphony, Norway, Seoul Philharmonic, Hong Kong Philharmonic, National Symphony Orchestra of Bogota, Colombia, Montevideo Symphony, among others. Pollack has performed solo recitals in the major music centers of the world including London’s Royal Festival Hall, Vienna’s Musikverein, Amsterdam’s Concertgebouw, Buenos Aires’ Teatro Colon, Seoul’s Arts Center, Moscow’s Bolshoi Zal, New York’s Carnegie Hall, Chicago’s Orchestra Hall, Los Angeles’ Music Center. Additional highlights of Pollack’s career include guest appearances at Tchaikovsky’s home in Kline, Russia, performing on the composer’s piano and at a joint session of the United States Congress in honor of President Harry Truman’s Centennial. Pollack is much in demand on international competition juries. He has participated several times on the International Tchaikovsky Piano Competition held in Moscow as well as on the Queen Elizabeth in Brussels; Montreal, Canada; Leeds, England; Ciurlionis, Vilnius, Lithuania; Gina Bachauer, Salt Lake City; Hamamatsu and Sonoda Competitions in Japan; UNISA in Pretoria, South Africa; Prokofiev in St. Petersburg; and the Rachmaninoff in Moscow. Pollack first garnered the music world’s attention when he became a prize-winner in the International Tchaikovsky Piano Competition in Moscow. Following, he concertized throughout the former Soviet Union and became the first American to record there for Melodya. Later, these were re-issued in Europe and the U.S. under several different labels. Subsequent recordings were for Columbia. A recent CD on the Cambria label, “The Legendary Moscow Recordings of 1958 and 1961,” are from the archived tapes of the Russian record label Melodya of Pollack in his early years – records that sold in the millions throughout the former Soviet Union over several decades. Among other international releases are Pollack’s Grammy-nominated CD for Naxos, the complete solo piano works of Samuel Barber, which was heralded as “prodigious pianism of fiery energy, dynamic articulation and élan.” Other CDs include an all-Chopin recital recorded in the Bolshoi Zal of the Philharmonic in St. Petersburg, Russia, released by Sony on their Infinity Digital label, nationally and on Digital Focus, internationally, as well as two CDs of popular short romantic works for Four Winds. Pollack has held several visiting artist faculty positions including The Juilliard School, Columbia University and Yale’s School of Music. 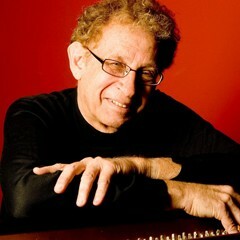 Pollack has been a longtime professor at the Thornton School of Music at the University of Southern California. Pollack began his studies at the age of four and made his debut with the New York Philharmonic at the age of nine, performing the Chopin Piano Concerto No. 1. He is a graduate of the Juilliard School from the class of the legendary Rosina Lhevinne, herself a graduate of the Moscow Conservatory. Pollack continued his graduate studies at the Hochschule für Musik in Vienna under a Fulbright scholarship with Bruno Seidlhofer, at the Academia Chigiana in Siena, Italy with Guido Agosti and was selected as one of 12 pianists internationally to participate in a special Beethoven Master Class of the late Wilhelm Kempff in Positano, Italy. Daniel Pollack’s innovative web site, www.danielpollack.com, in which he can be seen and heard in a live concert from Moscow’s Bolshoi Zaal, has been a favorite of classical musicians worldwide, achieving a record number of visitors annually and winning the prestigious Informative Music Site Award.